Our school curriculum has to change with the times! We have to teach maths and sciences! Also much about the world around us. How the world is changing? The Internet revolution we have to teach. We have to teach about the very eco system around us, around the world. We have to teach about the Silicon Valley! These are some of the thoughts that we, educators and society builders, have to get together and discuss and debate across many platforms. The Internet is 25 years old. There is an Internet boom in India. There is also a mobile boom. The spread of social media has opened up an unprecedented opportunity for educators how to tap the new technologies and the mindsets of the young to create more new opportunities for new start-up culture and thereby we can create more jobs, self-employed jobs, wealth and abolish poverty. All these can be done now without the help of the state and the government. We can also create an open society, more equality and more shared concerns and happiness across the society. Time to think afresh and a bit radically. Wherever there is a school function and parents meets there must be a new paradigm shift and our parental concerns must get expression though multiple platforms. So, we share with our readers, why even the general readers who might not have a direct interest in, say school education, has much to share and much to contribute. As far as the middle class parents are concerned there will be the natural anxiety about the particular education stream, sciences or maths or any other subjects? Yes, we seem to be living through a globalised world and so we have to get ourselves mentally prepared to become global citizens ourselves. So too our next generation. As far as the current trends, world education trends are concerned there will be this Indian aspiration, variously called, the Great American Dream. Our children will go to the USA either for education or for jobs too. That is natural. Also, there is the trend right now here in India where there are new opportunities opening up for much more challenging jobs as professionals and also as entrepreneurs. We need for any of these careers lots of opportunities right here. First, there is any amount f knowledge and information on the Internet. The Internet Revolution is rightly on us, Indians. Out of the 1.28 billion populations, you will be surprised to know that there is a mobile revolution? Yes, the smart phone growth is a fantastic 150% growth year on year? Why such rush? Simply because opportunities are opening up in an unbelievable manner faster and faster. What does the Internet, mobile revolution, so to say mean? People can get connected with any other in any other part of the world for almost no costs. The knowledge pool, be it on the Google or any other devices, tablet itself is now so cheap you can have it for nothing. With all these information at hand you can easily imagine you want to have a start-up company of your own. For that our youngsters, boys and girls, already addicted to the computer bug or the Internet or the social media sites, it is next to nothing to strike on your own with any simple idea. What is a start-up? It is a young minds idea on the Internet. There is also a revolution in the new sciences. Only when the students are exposed to the developments in the new sciences, be it human genome or robotics and any other sciences the students must be made aware of the new developments. Only an emphasis on sciences teaching on a liberal and freedom of mind scale you can bring in visitor to your schools and get them interact with the young minds you can create the curiosity and a daring mindset. There are now as many Indian youngsters and even older generation who make so many trips to the USA and back. Every Indian school make it a point to invite at least one NRI visitor to the school and make them speak about their experiences in the USA, the Silicon Valley professions could be the best choices for schools-sciences and maths seminars. This should become a must for any Indian school. The American children are not as exposed to maths and sciences today. For the simple reason they are much more materially endowed and so they are not as compelled as we can today to make children read maths and sciences. Also teach technologies and also innovations and an innovative mindset. These are some of the frontier thoughts for educators, school promoters and other to create new innovative schooling in India. There is an Internet boom on date. The coming of Internet is now 25 years old. This is the right time to expose our youngsters in a purposeful manner to some creative innovative practise in the use of their time on the Face book or Twitter or what have you. Let the Internet boom and the social media explosion be tapped by educators to put them to more revolutionary, entrepreurship promoting ways. India is of course on the move! India is not losing its magic; let us tell The Economist magazine cover story! But beware foreign media’s clever portrayal of India! There is not one word about Indian’s successful IT revolution, you know? Indian media is also ambivalent! There are corporate interests and other vested interests! So, independent opinion must be carefully assessed! Yes, this much is conceded by everybody, foreign media and also the Indian mainstream media. India is doing well. India is no more a case of basket of bad apples. Indian poverty is declining. There is no doubt about it. One can just see with one’s eyes! The very many schemes, from the 100 days job guarantee scheme or other many populist schemes have delivered results. The actual quantum of people under poverty line declined, says the latest issue of The Economist magazine in a special cover story is as much as the entire South African population. Good! The Economist by the way is a cleverly written smart weekly but it has its own hidden agenda. As a British media outlet that had been there on the historic scene for over two and a half centuries, from the old colonial days to the present times is after all a media from the now fast declining Britain. So, how can it swallow the reality of seeing India becoming the big power? So, it never stops short of double talk. India is big but poor. This is its theme song throughout the many pages of smart writing. One doesn’t know how many Indians read it but surely, the New Delhi based political class, it means both the bureaucracy as well as not so well-educated(educated enough to read The Economist regularly)might be tempted to believe what is in cold print is gospel. So too we hasten to add the Indian media. The Indian media, as they say, is now becoming fastly a corporate industry in itself. No more, the struggling editor or the owner had a civilising mission. It is now money and money and more money. So the Indian media is now seen more as a fast-buck earning venture. The paid news syndrome has come to haunt the Indian mainstream media and so you see there is wide gaps in what a big newspaper reports in it’s dally front page news. We don’t want to name the names of individual newspapers. But you can see that the Times of India often rushes to print all news, good bad and indifferent. The Anna Hazare’s third attempt, now the latest at Jantar Mantar fast, was of course a resounding success. But the names of the famous (or infamous? )14 tainted ministers are reports with due disclaimers by the TOI, while the more pro-establishment The Hindu reported the names in the midst of a dense text! But the electronic media is really dead scarred. Only the Headlines Today reported live the names of the tainted ministers as Mr.Arvind Kejriwal was speaking at the Anna rally but no other channel dared to report the same! Why? What else mortal fear from the government machinery. Who knows the inside story. An angry Ambika Soni might cut off the ads! She in fact did it on a previous occasion! So, India, though being a big democracy, it is run by a rather immature set of people. The trouble with Indian democracy is that it is really a big democracy. The counts a Sonia Gandhi’s favourites with no merit! Free, as you can see from the Vodafone case, the media is free, no once an editor of a newspaper or an anchor was sent to jail, unlike min India’s neighbouring countries. Where in Sri Lanka or Malaysia with all their properties, the media is near zero! Yet, there is now the disquiet in the government. After the Congress was beaten so badly in the five-state Assembly elections, more importantly in Rahul Gandhi’s UP state, the Congress party is shell-shocked and it has not been heard for the past few days of this defeat. Of all the media, it is the conservative Hindu group publication, the Frontline, of all the newspapers and magazines, has dared to report ,it seems a secret decision or secret wish that in spite of the defeat of the party, Rahul Gandhi be appointed straight away as the Prime Minister before the next general Lok Sabha elections! What else, but paranoia of power. There is somehow a deep-rooted Indian psychology that only the Nehru-Gandhi family is entitled to rule the country. There is obviously a great deal of nervousness in the corridors of power in New Delhi. The Prime Minister is also not sure of things. That is why he, on his departure to South Korea on high diplomacy, hasnt nominated any senior minister to preside over the government affairs. This is unlike on the previous similar occasions. No newspapers did make any intelligent guess. As the Economist has written in the latest Indian reports, that Rahul Gandhi is somewhat like Britian’s Prince Charles. A many with no job! Pity, Rahul. He is really to be pitied for what he chose not to make his career of. Everybody knows and convinced but don’t show it out. The innermost fears and conviction that Rahul Gandhi is after all not a natural choice for the high job of the Indian Prime Minister, however hard you try. This may be a difficult truth to swallow for his mother first and next the coterie. So, there is this commonly felt deeply rooted uncertainty about everything about India. Yes, these are all true but much more damning are the creeping fear that the Anna Hazare movement is sure to dent the left-over prospects, if any, of the Congress party’s chances in the 2014 Lok Sabha elections. Mulayam Singh’s new aggressive agenda. Now, as expected, a victorious Mulayam Singh Yadav, the Samajwadi leader, has sounded the mid-term election bugle, as the media reported and this ominous sounding call for early elections would only further damage the self-confidence of the Congress party. So, there is the growing public disenchantment with the Congress party. The fight against corruption is sure to come back with renewed vigour, given the signs at the Jantar Mantar crowd. So, Anna Hazare can’t be written off. So too the threat of the regional parties. Much more ominous is the behaviour of the allies, Trinamool and the DMK. Trinamool is really unpredictable at any time, more so as the elections near. As for the DMK, it is now a curse for the Congress party that it is really handicapped to cultivate new allies or revive its own party in Tamil Nadu. Sonia Gandhi’s 14 long years of the Presidentship of the Indian National Congress is now a total misjudgement. She had been badly misadvised by vested interests. Now her own corrupt ministers won’t let her dispense with them. So too the ageing Prime Minister who at 80, is really, is a wreaked man. So many critical decisions proved disasterous. The first was 2-G scam, now Coalgate and one doesn’t know what next would hit his credibility. The best and brightest Indian youth throng to Bangalore! High-tech India arrives on a bullock cart! 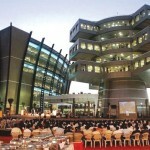 2,30,000 engineers, most of them young, are working in Bangalore IT firms and outsourcing companies. China has a tech work force of 1,80,000 engineers. China is one year behind India. While other countries, even in Europe, are lagging behind India in such tech work force numbers. Recently, there was this photograph in the newspapers. A bullock cart fetches a new satellite dish on a bullock cart to the door steps of a newly set-up US software company, the first one to set up shop in Bangalore. It was a long time back, about 25 years ago. The last 25 years saw India emerge ,Bangalore city emerge, from a sleepy city, garden city of pensioners paradise to a bustling city we see today! This is a story that needs to be written about, a story that needs to be narrated more widely and sung in school text book songs! Yes, in those days when you walk through the Bangalore city roads, even in the then fashionable roads like M.G.Road or Cunningham Road you won’t see any foreign company name plates. The first one name plate to change the scene came thanks to the US based Texas Instruments on the Cunningham Road and then the nearby Millers Road. The satellite was driven on a bullock cart and unloaded and here is that picture that captures dramatically what we are saying here. Today, Bangalore has something like 650 MNC companies or their branches or franchises. In the year 1985 there was only a few. Infosys was started in 1981 and no one took notice of it’s for the next twenty years or so. Today it is an international icon. Now, it is said by many that the US President Barack Obama is keeping himself awake all night and Bangalore is frightening him to his bones. In the last few months the US President failed for his words and the one word that constantly prop up in his imagination is Bangalore that had taken away the American jobs and the US unemployment at 9.6 per cent simply drives the American President for some solutions to the losing US jobs. His prescription is to stop jobs to Bangalore, the off-shore jobs ,the US President thinks are jobs taken by the low cost Indian techies and the high tech sectors in the US are losing it out, may be forever! As for the Indian youth, more specially, the first generation rural youth, the well-educated and highly motivated and highly disciplined Indian youngster, both men and women, from the far -0ff North East, Bengal to Rajasthan to Mumbai to other parts of India Bangalore is the new Mecca. This is where a new divinity has cropped up. Bangalore means business opportunities. Bangalore is equivalent to business outsouring jobs for the entire world! India is now taken seriously. As for the US President Bangalore is a nightmare, Bangalore is much feared. The brain power of Bangalore is the new hope, the new strength and new global power! Texas Instruments(TI) then communications director , K.S.Narahari stumbled upon this rare photo and that is how the Bangalore high-tech story is unfolded here. The current anti-outsourcing campaign in the Ohio state is simply because there is a crude fear that by banning the outsourcing of jobs somehow can be stopped. This is sheer ignorance and failure to see what the IT technology holds for the future of the world. Internet revolution has simply reduced the physical distance. The world is flat. This is now a 24/7 world. The world is always awake. Round the clock, round the world everyone is working. India is a young country. There is so much of educated skills power. Internet ideally suits and drives this economy, a virtual economy where you can get things done at the minimum cost. Can you argue, however nationalistic you are you will do your jobs only within your own geography. This madness. Now Bangalore houses the best MNCs all in a few streets. Drive down the old airport road. You would come across IBM, Intel, Reuters, Dell, Microsoft and these are only the big names. All the other American names, Oracle, Accenture are there. Cisco has built its second headquarters here. Cisco also has reportedly shifted 20 per cent of its top executives to the city. Alcatel-Lucent is planning to invest 500 million to set up its global services base in India. Capgemini announced last week that it will make India its global services base here. By the end of this year its 35 per cent of employees will be based in India. 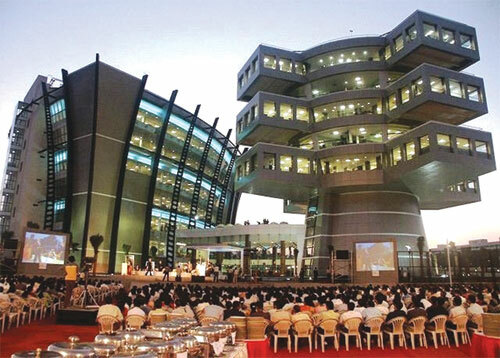 Its largest office outside USA is in India. Other global brands, Microsoft, Yahoo, Adobe and Google have a similar story to tell you! Computers came to India as soon as they were out in the USA. Not the IBN big machines but the desk top computers. In 1985 one could walk down the MG Road and saw one-one room office of the WIPRO! Today it is a giant! In 1985,the only business book on the roadside book stalls is the IBM Way! With a dark blue colored suited man on the jacket! Today business books are dime a dozen, it is now ebay, kindle, e-book readers. Today an average techice, reads his or her books on the I-Pad or kindle and as soon as the newspapers come out in the morning, be it in New York or London or Shanghai, you can scan the newspapers just at the next second! So, we in Bangalore scan the newspapers from around the world capitals in a matter of minutes. So too the books, no more we order even on the ebay. We can just download and read them on the ebay e-book reader! So life today in the tech capital of India is fast and at the same time very invigorating and exciting. India’s competitive edge, say observes ,lies in Indians’ innate and innovative capabilities. So, business enterprises to thrive only on their innovative business models and strategies. Today’s India sees lots of new billionaires and millionaires. In Mumbai it is a stock exchange culture that drives business. In Bangalore just the opposite. New startups, new linkages, new It tools, Google, Facebook, Twitter and these are the roads to success. Be it business or even in social and other areas of life. Bangalore is India’s future face. So be it! Infosys struggled for the first 19 years to reach a turnover of 100 million. By 2008 it grew by 40 times to touch 4 billion. So, now in Bangalore it is all about billionaires and millionaires. The Bangalore roads are choked to death by the new and latest foreign brand luxury cars. In five minutes time the chances are you might be caught by such models like the latest Mercedes, Volkswagon or Skoda or BMWs. The public transport in Bangalore is now a marvel of latest technology. Besides the latest Volvos, you will now see the latest Mercedes buses and other models. There is now a new metro. The flyovers of Bangalore makes you feel you are in San Fracisco! The youngsters sport latest fashion clothing. Saris are becoming rarity, the changeover to modern dress codes is now a standard. So too the use of latest gadgets. You will see in an auto rickshaw youngster using their laptops! You can pick up your latest Apple i-phone or a laptop. We are all eagerly awaking the coming of latest I-pads! Outsourcing, the Bangalore’s cutting edge money spinner! 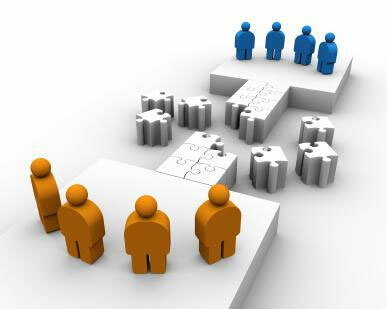 Changing nature of outsourcing-let us understand! The world is flat and India is at the epicenter of the flat world! 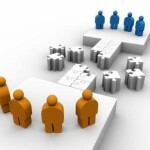 Outsourcing is Bangalore IT industry’s new cutting edge opportunity. It started in several forms, business process outsourcing to now so many other more focused areas. The current mood in Bangalore is one of restlessness of youth employed in this sector, the typical average age group is 23-31 years and they represent a new skills set and experience that was not there a few years ago. That makes all the difference for the new India and the young India that is emerging fast. 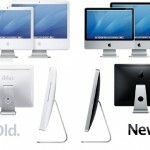 Some of the new technology products from Apple, Sony Microsoft have changed the way we live and do our business. Just now I read how Singapore is the number one tech-savvy economy. Beating America to the fifth position in the”Networked Readiness Index” by the World Economic Forum. U.S.lost its top position after a three year reign. Americans are ahead of others in innovative technologies and marketing strategies and still dominates in its high quality scientific research institutions and business schools and other indicators of high development including venture capital market which had spurred innovation. India and China have improved their positions at 39 and 41! Japan and South Korea are close rivals in this game of innovative technologies. Some of the world’s best known brands have come from these three countries. 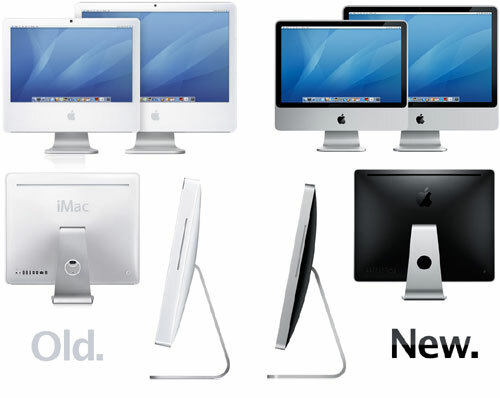 My own favourite brands, among companies are IBM, Sony and now Apple. A reflection on what these mean for our lives and activities.